The mattress industry has grown over recent years with the types of mattresses available to consumers expanding to fulfil every individual’s particular sleep needs. Mattresses now range from latex, memory foam, and innerspring, to waterbed, hybrid, air and futon. As well as an increase in the types of mattresses out there, more and more people are choosing to change their mattresses more regularly following various advertising campaigns suggesting they need replacing after eight years. Research conducted by Dreams in 2016 revealed that 76% of people’s mattresses were less than eight years old. However, this myth of having to change your mattress after eight years needs to be dispelled. Plenty of mattresses are able to last longer than this, and is all very dependent on how well a person treats their mattress. As a result of the increases in replacement of mattresses, it’s more important than ever that retailers are called upon to change the way end user waste is dealt with, to help create Britain’s much needed circular economy. Mattresses are notoriously problematic to recycle due to their bulky nature and the difficulties in transporting them in large quantities. 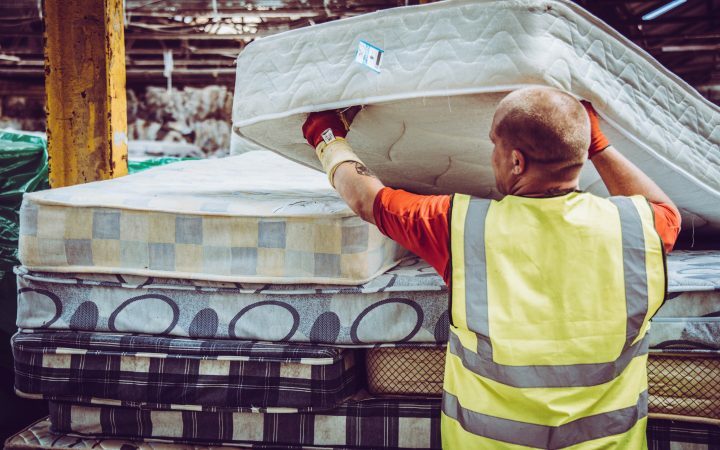 Figures show that only a small percentage of mattresses are recycled responsibly, with 7.5 million discarded to landfill sites – which is usually the cheapest, quickest and easiest option. Part of the problem lies in a lack of awareness on both the consumer and retailer’s part. The majority of consumers simply don’t realise that every part of their mattress has the potential to be recycled, depending on the type of mattress. However, with a national shortage of landfill capacity and UK landfill sites closing at a much faster rate than expected, we’re reaching crisis point. The current level of recycling doesn’t even come close to what is needed to make a dent on the landfill crisis. Recent reports have also suggested that recycling rates are stagnating, with the UK set to miss their 2020 target of 50 per cent recycled waste. According to a report released earlier this year by the National Bed Federation, a trade association for the bed industry, mattress recycling in the UK fell from 16 per cent in 2014 to 13 per cent in 2015, while new mattress sales were estimated to have risen to 6.8 million units from 5.9 million. The combination of people changing their mattresses more often, and the traditionally time-consuming process of breaking down mattresses, has also led to many recycling companies opting to dump mattresses instead. With an increased frequency of mattresses being replaced, mattress recyclers can often struggle to process the ever-growing mountain of mattresses coming their way. The recycling industry can be helped however, by changes being made in the retail sector. Earlier this year, The Furniture Recycling Group, a soft furnishing recycling company specialising in bed and mattress recycling, partnered with retail giants, John Lewis, to make a clear commitment to mattress recycling. 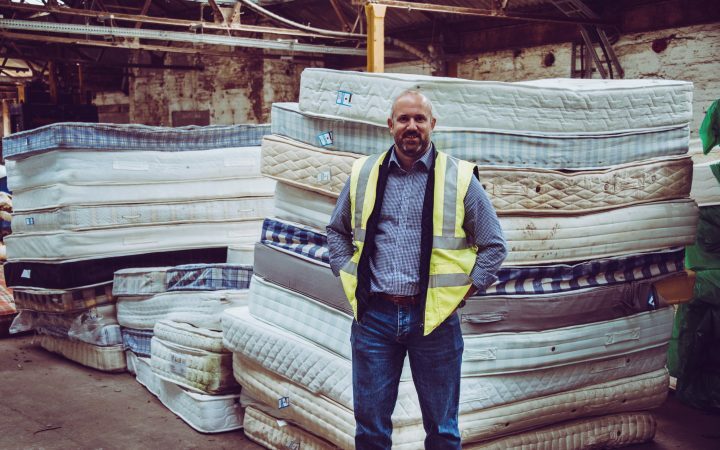 As part of John Lewis’ service, it would pick up customers’ old mattresses which were then sent to TFR Group with the pocket springs being removed using their patented mattress recycling machine, and all other aspects being done manually. The partnership with John Lewis enabled approximately 58,000 mattresses to be recycled in 2016 alone, with 1,500 tonnes of waste being diverted from landfill. However, not every retailer currently offers consumers the removal of their old mattress while delivering their new one. While it’s commendable that some of the UK’s biggest mattress retailers are leading the way in recycling, the onus is still with more retailers to take accountability and offer more recycling choices to their consumers. The recent announcement of the government’s 25-year environment was overall disappointing too. Although it was a step in the right direction, it was only a small step towards what is obviously a much larger, long-term issue. The government need to go much further, and set legislation requiring retailers to dispose of mattresses in an environmentally friendly way and manufacturers to consider recycling at the design stages. A trade ban on businesses sending items to landfill could help to incentivise retailers to think more carefully about their responsibility to the environment. 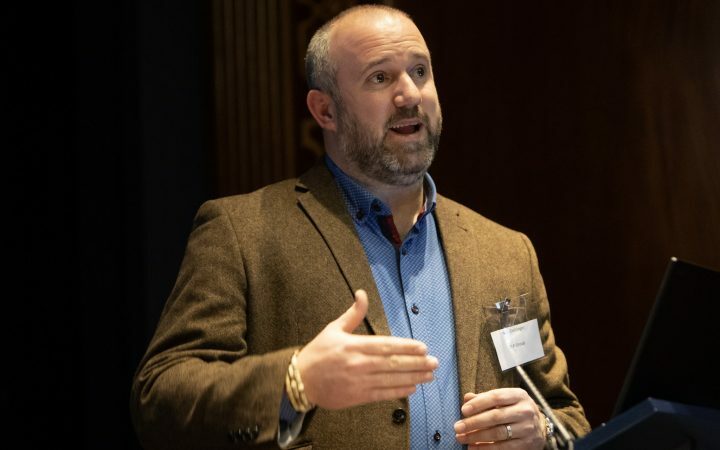 Alternatively, the focus could extend to producer responsibility with schemes put in place, which will require manufacturers of mattresses to ensure end-of-life recycling is considered in the early stages of development. Retailers should already be taking a proactive approach to be working with sustainable manufacturers of mattresses who consider the end of the mattresses they produce before they are in production. Similarly, the onus isn’t just on retailers, but manufacturers too. 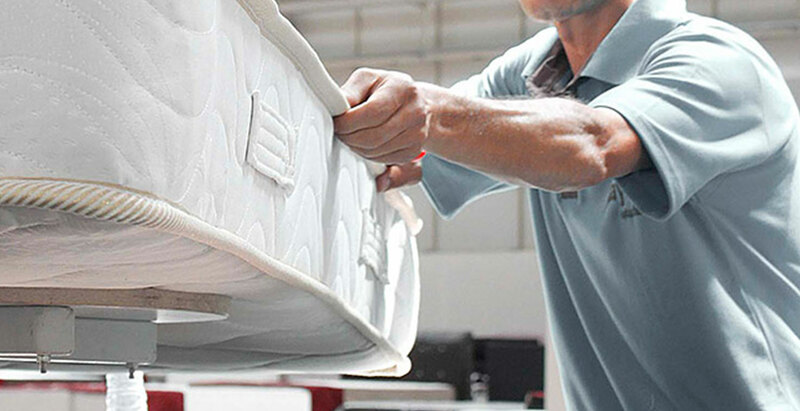 Manufacturers need to be paying close attention to the End of Life issue when designing mattresses, whether that’s utilising recycled materials or incorporating materials that will extend the average lifespan of mattresses. Open-coil springs, for example, are much easier to break down and reuse than pocket springs. While many manufacturers are already using recycled steel to create new mattress springs, if good quality mattress springs were reconditioned and reused, they could further reduce the energy and costs required to manufacture the coils. Not only would this create a circular economy, with less strain on landfill resources, but it would also have a positive effect on manufacturers’ bottom line so is a clear incentive for manufacturers. The UK desperately needs to work towards a circular economy – where materials are recovered from end-of-life mattresses and fed back into the manufacturing process – to increase environmental sustainability and tackle the critical landfill problem. Having both manufacturers and retailers on board would work to make vast headway towards a truly circular economy.